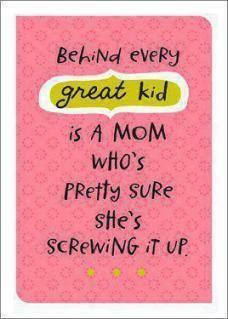 So many moms parents find it so easy to be hard on themselves. I am one of them. 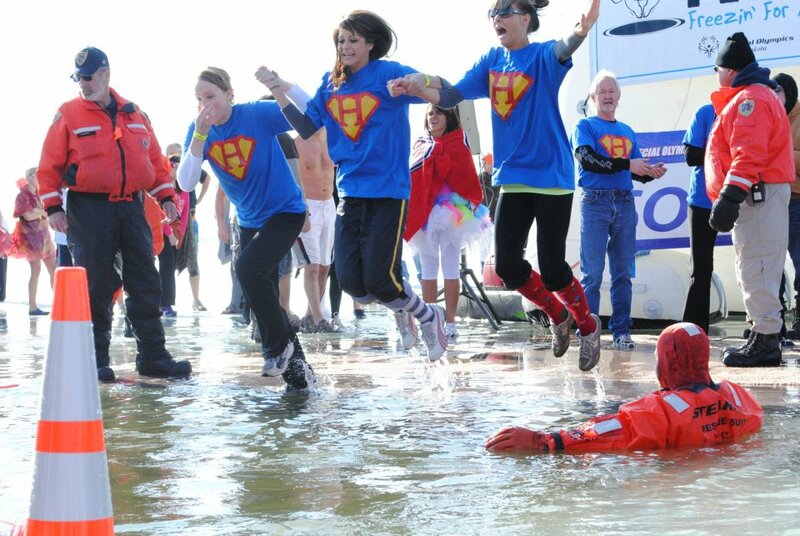 Do you know what a polar bear plunge is? Basically it’s a bunch of crazy people who plunge into near-freezing water in the winter, usually for fun, for purported health benefits, or as a fund-raiser. (CNN actually published an article in January of this year, asking “Are polar bear plunges good for you?”. The jury’s still out). I am most familiar with the fund-raising variety. This past weekend, my family and I traveled to my home state to support one of these events, which was co-chaired by my brother’s amazing wife. She has been inspired to bring a “Polar Plunge for Special Olympics” event to my hometown for the past four years by their equally amazing son, Hudson, who has Down Syndrome. A mild winter meant standing in lake water prior to the jump - BRRR! This year, I was on the fence. Last year I decided that I would alternate my fundraising efforts each year between Special Olympics and Crohn’s disease awareness through CCFA. I didn’t want to be asking my supporters for money multiple times in a year, nor do I want to short either organization. Despite this decision, I knew I would at a minimum attend the event, but still wanted to plunge. Yes, I still wanted to plunge into 32 degree water. I'm freaking nuts. I checked with my gastroenterologist, and he did not know of any “GI contraindications” for jumping into icy water. Dr. Google didn’t turn up anything, either. Ultimately, my stomach decided for me. Things had been flaring up and after a week of a bland/soft diet, I was finally getting my Crohn’s symptoms back under control. I decided it would be best not to plunge (thanks for helping me decide, Amy!). Alas, this is just one more thing that Crohn’s got in the way of. BUT – as with other disappointments, I made the decision to look at the bright side: I still got to attend. I took some photos for my sister-in-law; I cheered on my husband (see him and my brother below - btw, that's a wig, not a real mullet) and the other teams as they braved the jump. I got to be there and hug my sweet nephew and support a wonderful organization. THAT is what the event was about. I’m extremely proud of my sister-in-law (my brother, too!). She’s a fabulous parent and person in so many ways, and the fundraising that these four plunges have brought to the athletes in their area have changed the way they compete. It’s phenomenal. All in all, there were 210 plungers and over $65,000 raised in this small town of 20,000 people. I didn’t plunge, but I am very proud to have been a (minor) participant - Crohn's flare or not. Our 6 year-old son, W, woke up this morning with a nasty virus after being up in the night coughing. Fortunately, he didn't have a fever, but was sick enough to stay home from school. We certainly didn't want to send him with the horrible sounding croupy cough. After consulting our respective work calendars, my husband and I determined that he would be the one to stay home with our son. It was a logical decision, based on our schedules. Not to mention that W is old enough for us to be able to get some work done from home, and if taking time off is required, my husband also has a much healthier PTO balance than I do. But I still hated leaving him this morning. It's situations like this that make me feel so conflicted about work/life balance. I knew that W was fine at home with his dad. I also knew that he wasn't terribly sick and just needed some extra rest and TLC. But I still wanted for it to be me at home with him. I wanted for someone not just to be at home with him, but to be with him. Memories aren't just made at the "big" moments in life. "Being there" doesn't mean only being there for the ball games, plays, events, and parent-teacher conferences. Memories and being there also happen in the little, everyday things - like making hot cereal or soup and snuggling my son when he doesn't feel good. If my schedule and PTO balance would have allowed, I would have taken the time - that bonus day rarely gifted to us by all things a virus - and spent it with him. Will it get easier? I doubt it, but I can hope so. Today, as I sat at the kitchen table with our 6 year-old working on his valentines, he suddenly recalled a memory from nearly two years ago. "Mommy," he said, "once I gave you a valentine like this one. I brought it to you in the hospital." I was a little surprised at him recalling this. 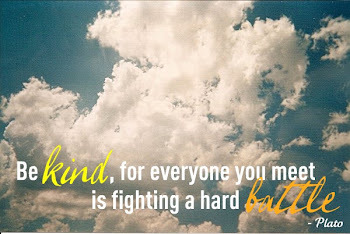 I have been thinking a lot lately about the last time I was hospitalized, in February 2011. I had fallen sick very suddenly, and W had just turned 4 at the time. I assumed he had forgotten about it, as he hasn't brought it up in quite some time. "Why were you in the hospital?" he asked. "Well, remember we talked about how mommy's tummy doesn't always work right? Sometimes it makes me sick enough that I have to go to the hospital to get better." I was preparing to go further in depth with my answer if he needed me to, but my answer seemed to suffice. For now, anyway. The past two years since that hospitalization has brought with it a lot of healing and soul-searching. I guess that's part of what has brought me here, to the world of blogging. I find it therapeutic; I would like to share my story; and perhaps by writing, I can help my story - as a mother and as a Crohn's warrior - evolve. I can't wait to see what happens!